Yes, Morgan and Cody are excited to be getting married as we just finished their engaged couples retreat in this neck of the woods. The Nebraska landscape is truly amazing at all times of the year. I really enjoyed getting to know and see how we interact too. 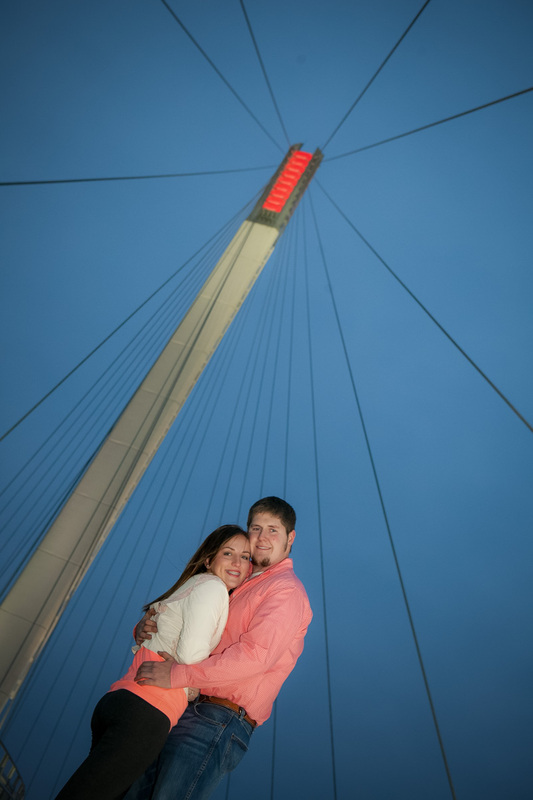 One thing is for sure, these two will withstand the test of time. 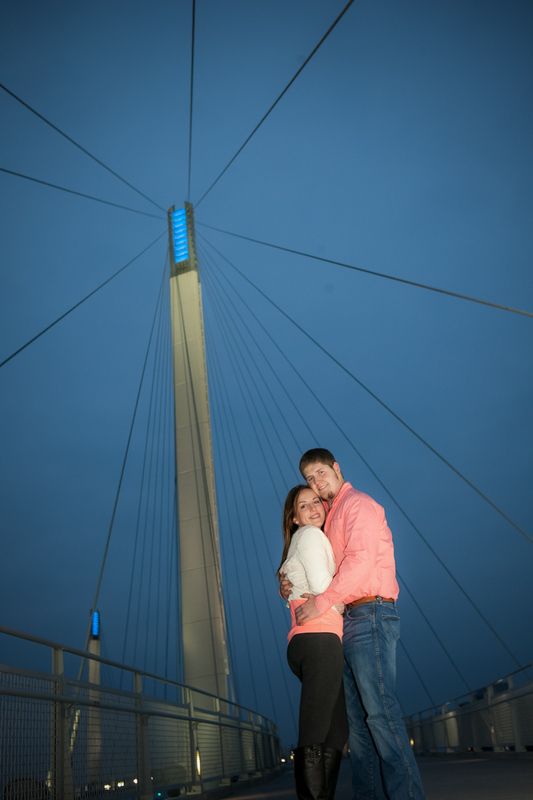 They weathered extreme cold at the Gretna barn, downtown Old Market area and the Bob Kerry Pedestrian Bridge. They have been dating for some time now and both are looking forward to a nice early fall celebration. As Wedding styles change from year to year, we photographers never know what new and different ideas will become mainstream. 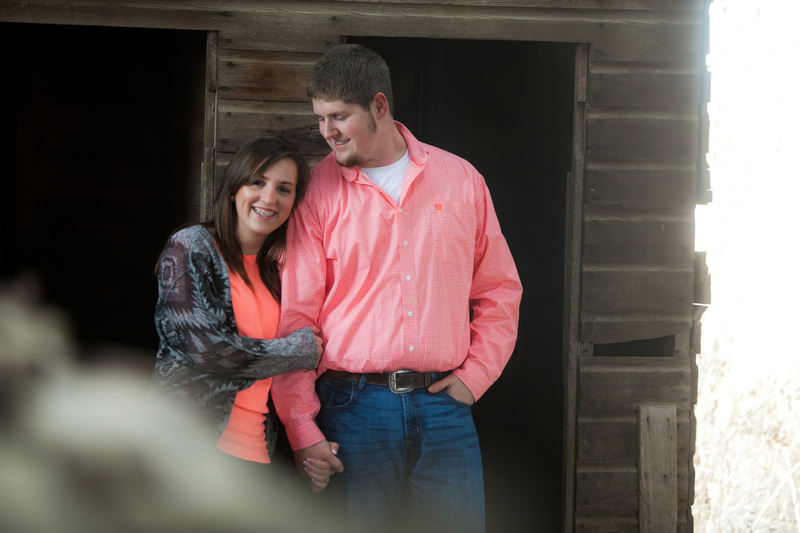 Much of their wedding is going to be planned for at their farm in Missouri. 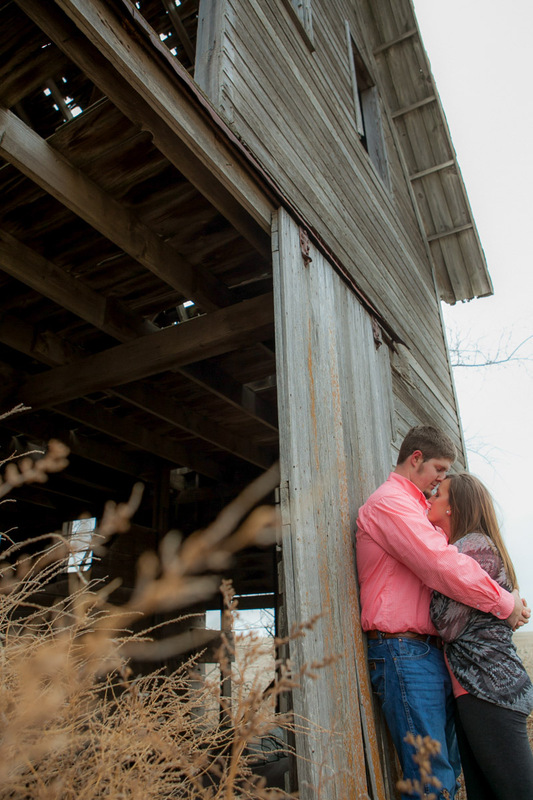 Yeah, Cody was a little upset that we couldn’t find his brand new John Deere tractor somewhere in the Omaha area but once wedding day is upon us, he wants to pull up in the customized one he has on the farm, rather than walk down the aisle. I’ll put money on the table that Morgan will be doing the same. 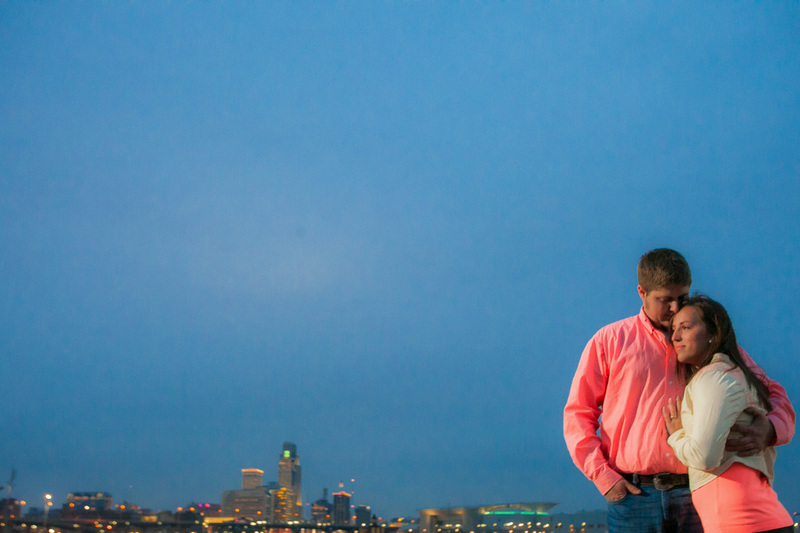 I’m pretty excited about traveling to Missouri and tried to tie in some of what they enjoy about Omaha and Missouri in this Engagement Session. This will be a new and exciting time for them and family. If you are planning a wedding or have an idea of a romantic proposal, please contact me anytime to discuss how we can enhance your plans for photography on a special occasion.